Some buyers feel that having representation from a real estate attorney when buying a home is unnecessary. These buyers think they can save money by not hiring one. Contrarily, it is money very well spent, and can actually end up saving you money and trouble in the future. Real estate attorneys are experts in their fields; they review all real estate related documentation such as Purchase and Sale agreements, any mortgage-related documents, title information and insurance, as well as handle the closing documents and meeting. In Massachusetts, a Purchase and Sales agreement is a binding contract which controls what the buyer and seller are allowed to do, during the home buying transaction. A good real estate attorney will know what to include in the Purchase and Sale agreement to protect the buyer throughout the entire process. Your real estate attorney will help protect your deposit and should help you obtain any required extensions that may be necessary, such as a mortgage contingency date extension, if you do not get approved in time for your mortgage. Your real estate attorney is your personal resource to help you figure out solutions to any legal problems which may arise and to help you understand your obligations and liabilities. Additionally, they will look out for easements and title issues that can sometimes come up. Buying a home for most people is the biggest investment of one’s life. Nowadays people spend several hundred thousand dollars to buy a home. Spending an additional $1,000 (fees vary) on legal counsel to ensure that your interests and assets are protected is only a tiny fraction of the overall transaction and is most certainly well worth it. 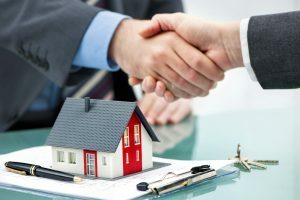 The last and most important aspect of hiring an attorney to represent you in your home purchase is to make sure you hire a real estate attorney. This is so important yet it is too often overlooked by buyers and sellers. Just like hiring the right agent is imperative to a successful home purchase, hiring the right real estate attorney is essential as well. A real estate attorney is someone who represents buyers and sellers in property transactions every day; they do not go to court and spend their days litigating. A true real estate closing attorney works with home buyers, home sellers and people refinancing their homes to negotiate a proper Purchase and Sales agreement, do title research, or prepare a CD (Closing Disclosure) statement, among many other things. Knowing that you are protected should any dispute arise during the property purchase and ensuring that your best interests are protected may be an additional fee you’d like to avoid, but the benefits are priceless. The first step to approaching the buying or selling process is to hire an experienced agent. Give us a call at 1-800-924-6563 or contact us here.